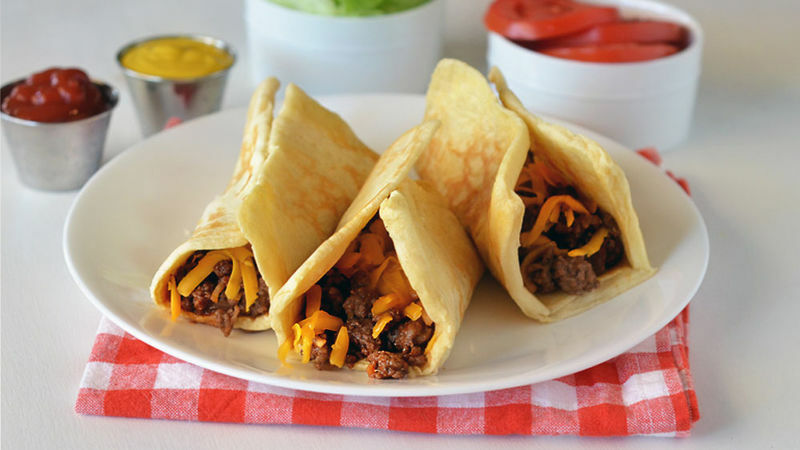 In 10-inch nonstick skillet, cook beef over medium-high heat 5 to 7 minutes, stirring occasionally, until thoroughly cooked. Drain. 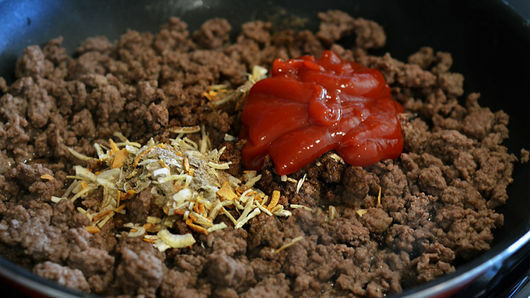 Add soup mix, ketchup and water to beef; cook and stir until mixture comes to a boil. Reduce heat to low; simmer 5 minutes. Heat separate 10-inch skillet over medium heat. Unroll dough onto cutting board; cut into 4 equal rectangles. 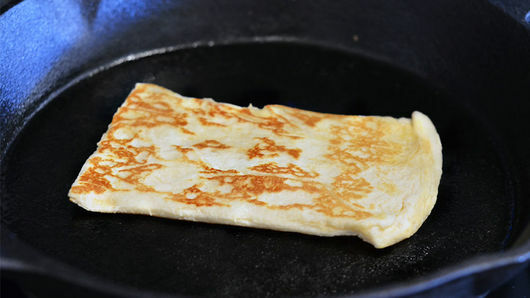 Place 1 rectangle in heated skillet; cook on each side 1 minute or until golden brown. Repeat with remaining dough rectangles. 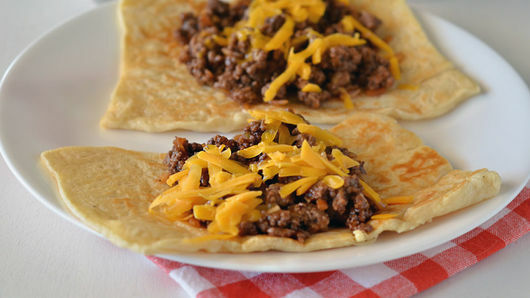 Top each flatbread with 1/2 cup beef mixture and 1/4 cup cheese. Serve immediately. Top each cheeseburger melt with tomato, lettuce, ketchup and mustard. Try adding bacon to kick these up a notch!